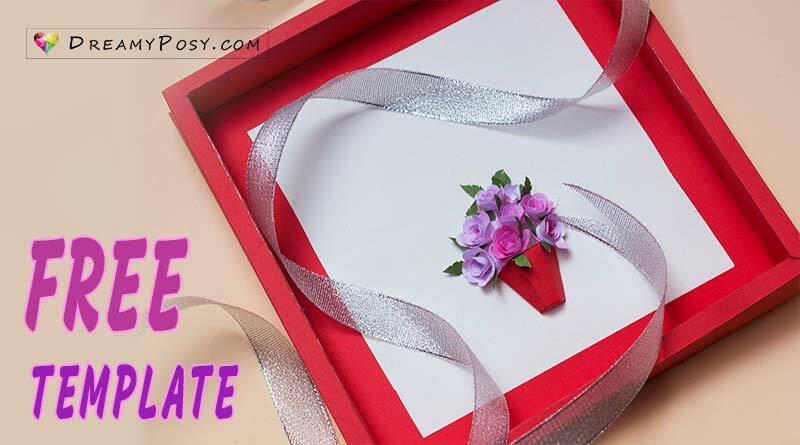 DIY 3D paper flower card for your girlfriend, your mother, your spouse. 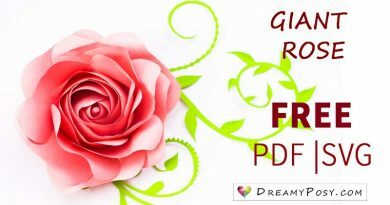 Download and print my free mini rose template on printer paper and the frame template on cardstock. I used 180gsm color paper but it’s better to use one, it could be metallic 250gsm paper, or glitter color 250gmsaper, or pearl color 250gsm paper. 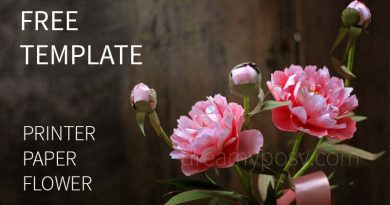 Apply the flower template on another piece of printer paper/ color paper and cut it out, so you will get rid of the printing lines on flower petals. Use any color you want. Before rolling the mini rose, use a little of a wet sponge to help soften your rose petals. It will help you to roll the flower much easier. Cut the mini vase template on the cardstock. Score the dotted lines and fold. Glue the mini vase with a toothpick and white glue. 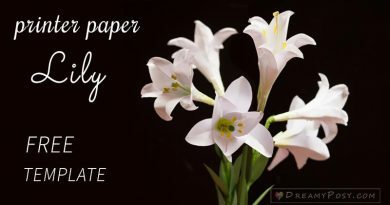 Trim some mini leaves on green paper and decorate your own way. 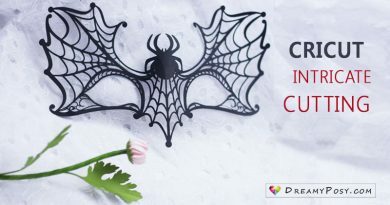 You might want to see a clearer tutorial on making the 3D heart frame.